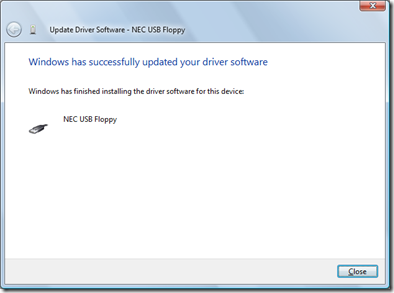 The problem is that many of the Floppy drives do not have drivers or “official” support for Windows Vista or later. This post covers just such an issue. 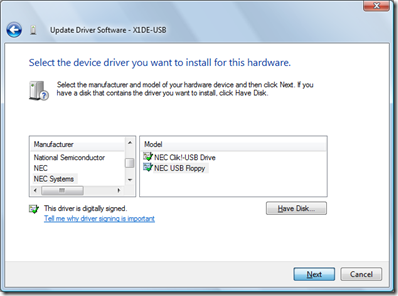 I use an Iomega USB drive, and whenever I plug it into my Windows 7 pc’s, I get a message that Windows can’t find a driver for my device. 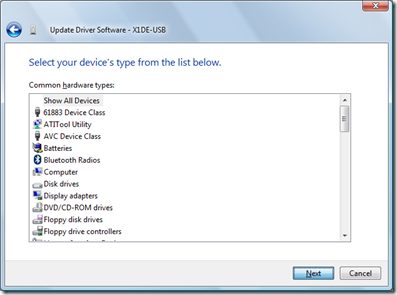 2A) For Windows Vista, Windows 7, or Windows 8 – Go to start –> Control Panel –> System –> Device Manager. 2B) For Windows 10 – In the “Search the web and Windows” box type Control Panel. When the choice for control panel comes up, select it. This will open the control panel. Once in control panel, select Device Manager. 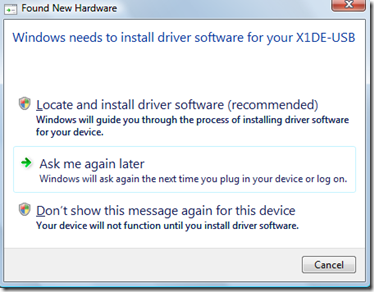 8 ) You will be told by Windows that “Installing this device driver is not recommended…..” its ok just click on Yes to continue. 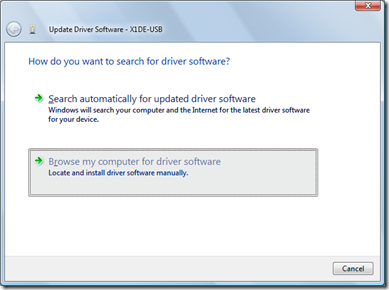 9) Lastly you will be told that Windows has successfully updated your driver software. Now if you look at the Device Manager you will see the listing for Floppy disk drive – Citizen X1DE. With that you now have a working Floppy USB drive. Makes the device visible and I have a device A: (Floppy). But any floppy I put in it is listed as unformatted or unreadable. 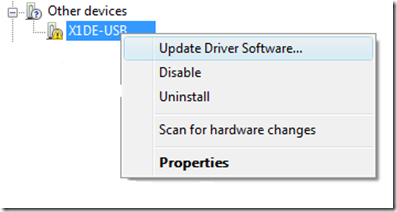 Does this device driver include the file sytem format reader of old? Or have all the floppies simply gone bad over time and appear unformatted? It should read once the drive is listed. It is very possible (unfortunately) that the disk itself has gone bad. Floppy disks can go bad especially if they get exposed to many temp changes. Thank You very much for your solution, saved me a lot of time, You Are Appreciated. I would try to reboot pc and then try the steps again as soon as the reboot happens. Sometimes code 10 can happen when other programs run causing issues with the installer. That would be my 1st thing to try. Let me know if that doesn’t do it. Thank you very much! It works perfectly within my W10-64 bit. The 3,5″ floppy drive is a Samsung SFD-321U/HP built 2003.3. I recovered an essay which I wrote in 1992! Although the file extension was a weird one, Word-2016 had no trouble opening it. Who said data on floppies will only last for 10 years?! 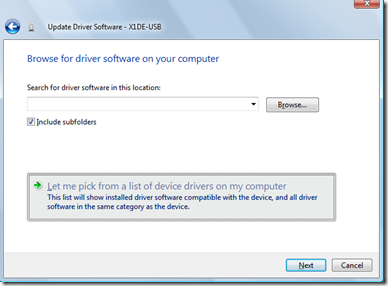 I selected the wrong driver by accident, and I need to go to a different manufacturer, but the wizard will not show me different manufacturers. I’ve tried restarting it, with no luck. Any ideas? Thank you! Worked like a charm on my Iomega USB Floppy Plus. Still useful. Thank you so much for this turorial. Worked in windoze 10 64bit. Thanks! Thank you very much for taking the time to share this fix with others. Every step was clear and correct. My A: drive is now working again. Great advice! Worked a treat in W7 pro 64 ! Thank you. Cheers! Worked perfectly! Thanks for the help. THANK YOU!!!!! I APPRECIATE YOUR HELP!!!!! I was going to recycle this old floppy drive but your steps got it to work in Windows 7 Enterprise. Brilliant thank you, saved the day. Beautifully explained/laid out instructions (AbFab baby!!) Big hugs n’kiss for you! I have TONS of old pics, gifs & midi files exclusively on floppies & thanks to you I can access & burn em on to cds. Yes I am old & always AT LEAST 10 yrs behind the times but I’m happy with the stuff Im used to working with. Thank you again. j. Thank you so much! I spent all day trying to get it working and this did the job! Thanks a million times over! I was tasked by a friend to retrieve some files from some old computers. No network cards. No USB ports. One even had the old bigger din type keyboard plug. Anyway, no way but a floppy disk to get the information off. I had a old IoMega USB floppy drive that I thought was useless until I found this page. Worked great! Thank you, thank you, THANK YOU. Worked perfectly on a Win 7 Pro 64. All info from 1997 still fine and copied with no problem to my hard drive. Thank you!! Very good help!